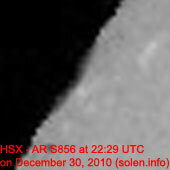 Last major update issued on December 31, 2010 at 06:25 UTC. The geomagnetic field was quiet to unsettled on December 30. 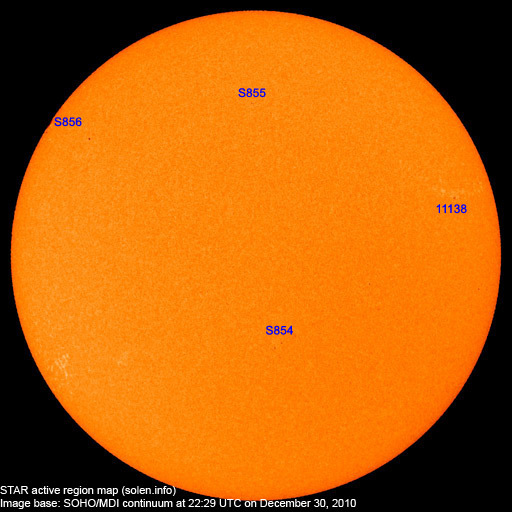 Solar wind speed ranged between 291 and 365 km/s. 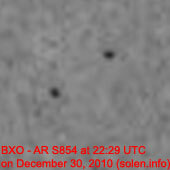 Solar flux measured at 20h UTC on 2.8 GHz was 82.9 (down 3.9 over the last solar rotation). The planetary A index was 5 (STAR Ap - based on the mean of three hour interval ap indices: 4.6). Three hour interval K indices: 00111321 (planetary), 00222311 (Boulder). 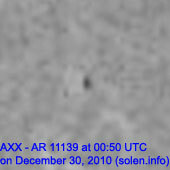 Region 11138 decayed slowly and could become spotless before rotating out of view. 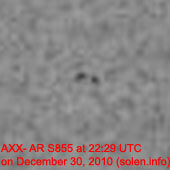 [S855] A new region emerged quickly late in the day in the northern hemisphere near the central meridian. Location at midnight: N35E02. 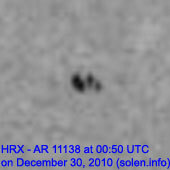 At 04 UTC on December 31 the region had penumbra and an area of 0050. 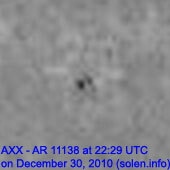 December 28-30: No obviously Earth directed CMEs were observed in LASCO or STEREO images. 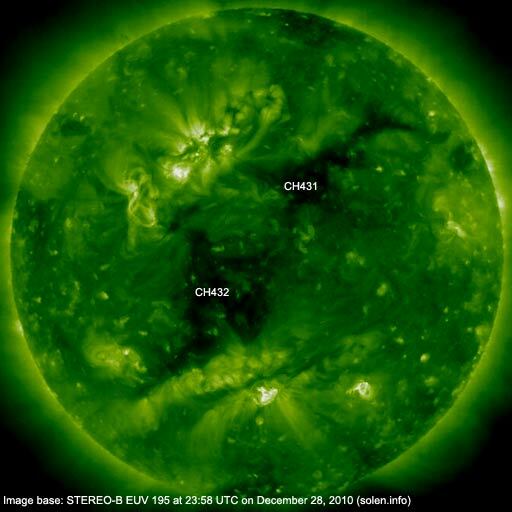 The geomagnetic field is expected to be quiet on December 31 - January 2.